We’ve been locked in a toxic relationship with nail polish remover for longer than we care to remember. It's hard to pinpoint just how many times we've cursed the stuff as it spilled on our tiled bathroom floors, left trace stains of dark polish on our cuticles, or sucked the life out of our nail beds. Yet, we put up with it all. Because if we want painted nails (which we do), nail polish remover, that necessary evil, is just part of the deal. But what if nail polish remover magically didn’t do those things and was somehow pleasant to use instead? That’s the question that inspired the brains at The Sign Tribe, a Frankfurt-based collective and product maker, to find a solution. Their fix? 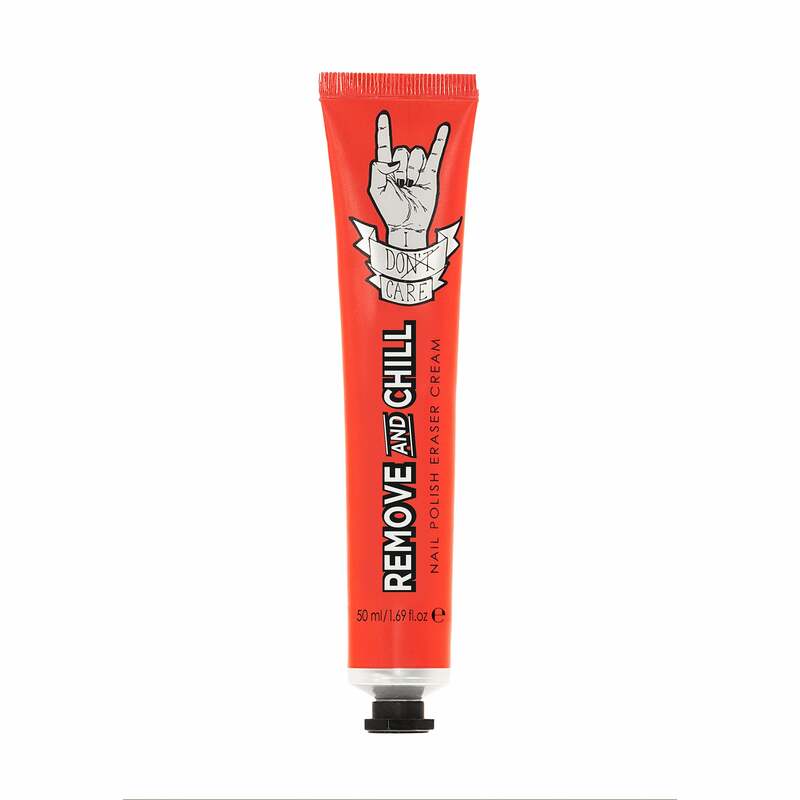 Something we never saw coming, but suddenly can’t live without: a cream nail polish remover, dubbed Remove and Chill, that side steps all of our chief grievances with ease. Here’s how it works: You squeeze out a dollop of the white cream onto polished nails, let it sit for two to three minutes, then wipe it all away with a cotton round. It almost sounded too easy — which is why we tried the stuff on just about every nail polish formula except gel (which it's not designed to undo). On double coats of cream, metallic, and fine glitter-finish polishes, it performed as advertised, taking away every trace of enamel with no residue, tint, stink, or spills. At $15, the cream — which launches online at Ulta Beauty today and will roll out to 500 of the beauty emporium’s stores — is certainly more spendy than traditional removers. But then again, we can’t put a price on whipping out the travel-friendly tube in the back of an Uber and removing chipped polish mid-ride without stinking up the car. (The formula’s scent is so innocuous, we’d even use it on a plane.) Like BeautyBlender forever changed the way we apply foundation, this baby has completely flipped the way we take off nail polish. As far as the liquid stuff? Boy, bye. Consider it a clean break.